The countdown has begun for ATRAX 2019, the meeting point of the entertainment industry, one of the most popular investment areas of recent times. The organization, which expects 10,000 visitors from 50 countries, will be held at the Istanbul Expo Center as of today and will continue until Feb. 16. This entertainment, events, recreation industry and services fair is the first and only specialization fair of Turkey and neighboring countries. It gets ready to host a large number of participants and visitors from different countries in Istanbul this year, as well. 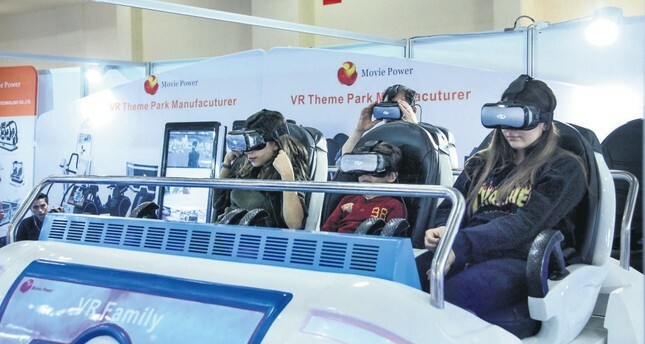 At the fair, where many different products that will be exhibited in Turkey for the first time will be on display, there will be everything from A to Z, including amusement parks, children play areas, coin-operated game machines, climbing wall equipment, motion simulators and sound-light-stage systems. The entertainment sector, which is experiencing rapid changes, is growing more and more every day. While the size of this industry, the most profitable one as it appeals not only children but to people of all ages, is $2 trillion in the world, it stands at $13 billion in Turkey. As the ninth fastest growing country in this regard, Turkey will make an important contribution to the country with Atrax19, organized by Tureks International Fairs. Conferences in which sector dynamics are talked and discussed are organized every year within the context of the fair. This year, "Happy Cities" will be discussed at these conferences. This theme starts from the idea that happiness of a city depends on the happiness of people living there. The conferences will bring sector leaders, academicians, foundation presidents, successful figures and institution managers together. Turkey's first and only contest in the entertainment industry, the Shining Star Awards 2019 – Attraction-Recreation Awards will be held for the sixth time this year at the fair. The competition received applications from three categories under the titles of "Stars of Amusement," "Stars of Industry" and "Stars of Theme, Happy Cities." The projects selected by the jury comprising of sector professionals will be awarded at a glorious ceremony night, which will be held at the Crowne Plaza Florya Hotel on Feb. 15.